I have been on a mission! Finding UFO's and finishing as many as I can before the end of the year! This table topper was featured on the front page of American Patchwork and Quilts several years ago. There was an applique pitchfork on the original pattern. But I figured if I was ever going to get this done, I just needed to quilt it. The unfinished top appeared to pucker where the borders attached to the quilt, so I was a little concerned on how it would quilt out. I started at the seam line where the border attached and just quilted across to the other side, walked to the next line and sewed back towards where I started. Back and forth I went until I had covered the whole top. Amazingly the quilting went very well. For the border I just traveled the large triangles all the way around. It was easier than I feared. So are you working down your UFO pile? 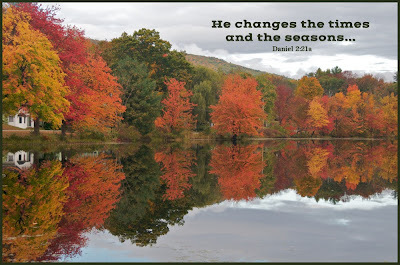 Summer seems to have flown by, making way for the colors of fall. Bringing autumn colors indoors gives my home the touch of color we don't experience here in Florida. Outside isn't nearly as rewarding. Lacking the reds, golds, and browns of nature, it becomes a bit more of a challenge. Recently I came across an outdoor pillow that would grace the bench that sits by our front door. But really, it needed something. Digging around in my stash, I knew I had fabric that screamed fall. Taking this slice of fabric, I sewed seams and wrapped it around the pillow. Humm, what next? Not enough fabric to make a bow, so a piece of brown batik would have to suffice. Now let's see what we need next. My daughter made this amazing Harvest sign. My BFF lost her battle with cancer 12 years ago. I still think of her and miss her. So in memory of Diana, I wanted to share this poem, written by Sherry Morris. I love you Diana. Your Fragrance still lingers. Do you ever have too many Fall quilts? ...make a huge mistake that you regretted for years? Yes, she had a sweet little Featherweight. I wrestled with her Featherweight to the point of frustration. It never seemed to run right. I passed the Home Ec class and one of the first things I purchased after high school was a Singer Stylist sewing machine. After my proud purchase my thoughts at the time were, why would I need that old black thing that gave me so much trouble!! So I sold it to a co-worker. Years later I mourned for that little black Featherweight. The more I heard of others sewing on Featherweights, the more I lamented. I was sure my old co-worker was still sewing on that little black machine. The new Singer was not a very cooperative machine. It was in constant need of repair. I felt so much frustration that I pretty much gave up garment sewing. As I began to quilt, I realized the need for a good straight stitch. A friend was getting a new sewing machine and she asked me if I would like her old Kenmore. Of course I said YES! I have sewn many, many miles on that machine. It was sturdy and faithful. One Christmas, there was a little black box sitting under the Christmas tree. I wondered what in the world could be in that little box. At first I thought it was some kind of projector or camera. But when I opened the lid, there she sat, in all of her glorious Featherweight beauty. My sweet husband and son had been on a mission to buy me a new sewing machine. I was thrilled to say the least!! But that is not the end of the story. You see, my husband and son had gone to a sewing machine repair store and asked questions. 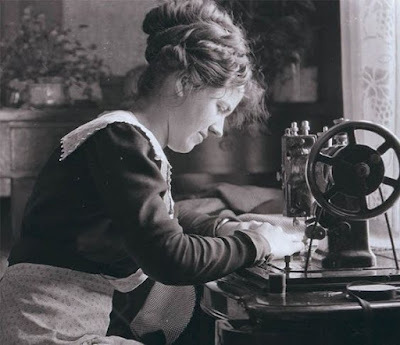 The store owner told them that the Featherweight had the best straight stitch, and quilters everywhere coveted them. Hummm, but it isn't a new machine. Oh, if you want a new sewing machine you need to go to the store down the road. So in addition to this little beauty, my husband and son bought a Bernina Virtuosa 155. Can you imagine my surprise when I not only opened the Featherweight but the next box had the words Bernina plaster on it! Have you ever regretted letting something go? Were you able to recover the lost treasure? Whatever the case, hopefully we learn by our mistakes. When I first started quilting, there was only one kind of thread to use. Basically it was Coats and Clark or some very cheap polyester version. Today, there are so many thread choices it can make your head spin. 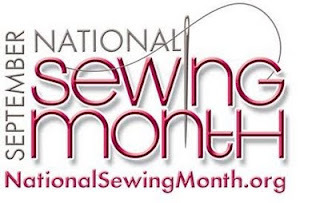 I read in one of Diane Gaudynski's books that she sometimes uses silk thread for her quilting. So I thought I would give it a try. I made this quilt for my daughter. I decided to try the silk thread for quilting. It is difficult to see the quilting, but I found that the silk thread really quilted up nicely. It doesn't lay on top of your fabric like cotton thread does. Nor does it dig in like invisible thread. It just seems to blend into the fabric. And let me tell you, it sews so smoothly. Have you ever quilted with silk thread? 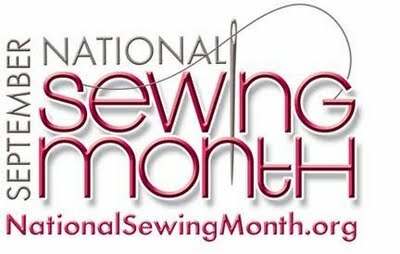 Do you have a favorite thread for machine quilting?? As we step into autumn, the morning air has turned cooler. In my area we do not have the avalange of fall colors, so we bring the colors of fall indoors. I dug out these two leaf blocks and will make them into a table runner. Okay, okay, so binding is not my favorite thing to do. It's the last of the process, and should be the one thing that propels me to finish a project. But I just don't enjoy doing it. I know there are lots of quilters out there who absolutely love to sit in front of the telly and stitch away, finishing their latest project. I guess I am single focused. I either watch the TV program or I bind. Can't do both at the same time :-( So in the closet of my sewing room sits a few (ahem) projects that only require sewing on the binding to be finished. I've rescued quilting projects before by sewing the binding down on the sewing machine. But that doesn't always look the best. What about you? Is sewing on the binding your thing? 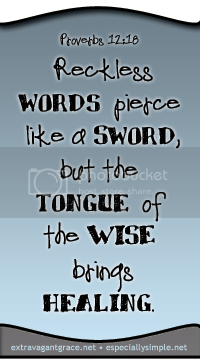 Or are you scraping by with the barest of effort? Either way I hope you have a Happy Quilting day! September has arrived! My daughter looked at me and said, "Fall decorations!" So we will start warming up the home with autumn in mind. I love a good mystery. 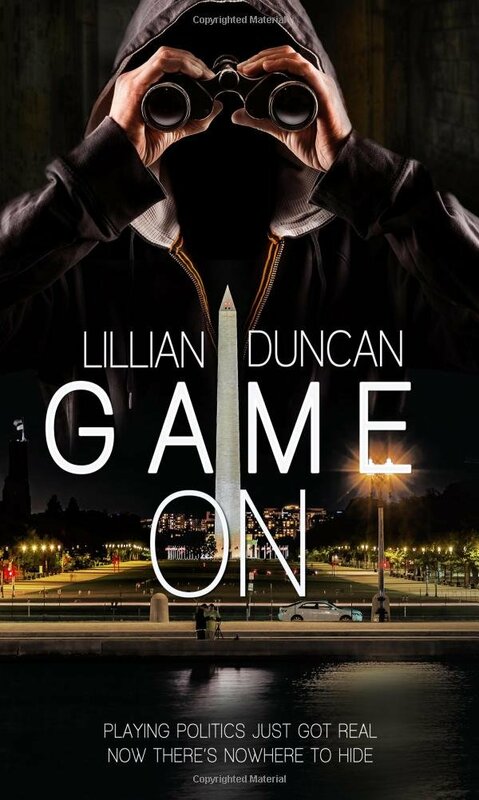 And "Game On," the latest novel by Lillian Duncan, is right on with suspense and intrigue. Lucas McMann is running for the Senate. He has his political future spread out. Until he is stalked. Nikki Kent has been hurt. Badly. When Lucas appears at her door, she is caught off balance. She would never help him. Not for any reason. But when stalking turns into threats, Nikki pays attention. As she is caught up in the web of threats, can Nikki still keep her secret? Or will it turn deadly? "Game On" is a well written story with interesting characters. I found that I could not put it down. It kept me guessing as I wanted to know what happened next. If romantic suspense is your genre, I think you would enjoy this book. www.lillian-duncan.com to enter the giveaway. To celebrate the release of GAME ON, Lillian Duncan is giving away a virtual basket of goodies at www.lillian-duncan.com that includes Amazon gift cards. For all the details go to her blog, Tiaras & Tennis Shoes. Simply leave a comment on the blog post GAME ON at www.lillian-duncan.com and you’ll be entered. Disclaimer - I received an advanced copy of this book from the publisher in exchange for my honest review.